Cottor Plants India Pvt. 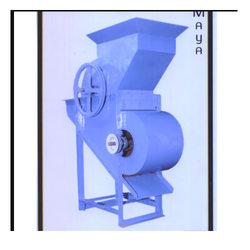 Ltd.
We are manufacturing Seed Decorticator which is mainly used for separating hulls from kernel in case of Groundnuts. Using Seed decorticator results in increasing capacity of Expeller and also reduces the down time of the machine. - Long sweeping crushing plates. CEC was the first to envision and implement the modern twin-roll hulling design since 1962. First to incorporate a decorticator with a basket beater and high speed separation. First to successfully process undelinted cottonseed with lowest kernel with hull. Highest Capacity per meter width of twin roll drum. 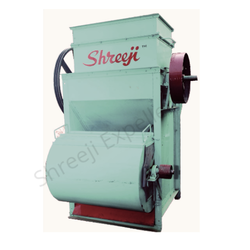 THE FERRO – TWIN ROLL HULLER has proven to be the highest capacity and most efficient way to Dehulled bulk oil seed which includes cotton seed, sunflower, soybean, peanuts, palm kernels etc. This equipment cuts the seed and separates the hulls and meat with very efficiently.